edgertronic SC2X Review – Part 3! 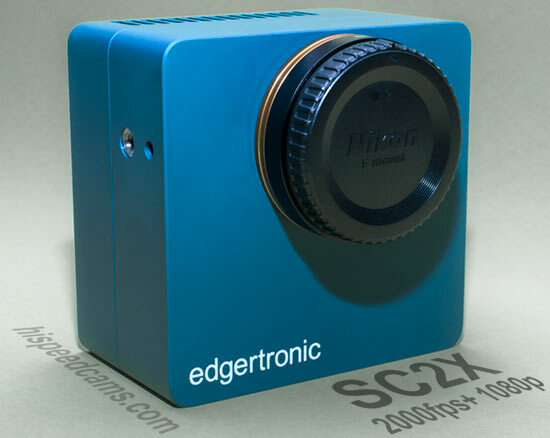 Over the last seven weeks testing and shooting with the edgertronic SC2X high-speed camera we have a complete picture of what this camera can do and where it can really shine. This camera is a special one in its own right because it is the breakthrough 1080p Full HD camera that achieves 2,000fps at excellent quality for film and TV productions. This is a camera we have been waiting for a long time and it is all that we were expecting and more concerning quality and frame rates. edgertronic Latest Firmware Boosts Overclocking! edgertronic has been working hard on a new firmware update that boosts frame rates for the newer SC2, SC2+ and SC2X cameras which makes it possible to shoot at full resolution several hundreds of extra frames while maintaining near stock video quality. This first update iteration adds an overclocking setting menu to the SC2, SC2+ and SC2X cameras with 5% increments in four settings. 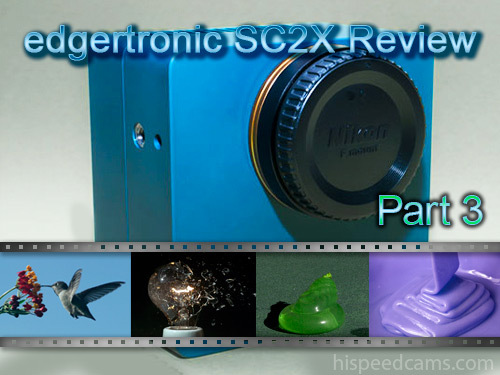 In Part 1 of this review, we looked at the body and design of the edgertronic SC2X camera. Touched on the mount and available frame rates including a few new changes and some video samples. Part two is all about using and understanding the abilities and limitations of the camera as a high-speed tool for Film, TV, Science, Sports, Medicine and other industries. 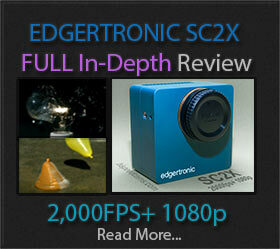 Last year we reviewed the edgertronic SC2+ affordable professional high-speed camera with a near 5000fps 720p performance and it offered the best price/performance yield in the high-speed camera world. The first edgertronic was revolutionary in price and features and was a big disruptor in the slow-motion camera space as many competitors that offered essentially the same performance, were left with price tags several orders of magnitude higher which limited their adoption to only a handful of users in some cases. admin on Chronos 2.1 HD Shoots 1000fps 1080p For $5k! 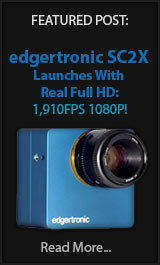 Mario on Chronos 2.1 HD Shoots 1000fps 1080p For $5k!